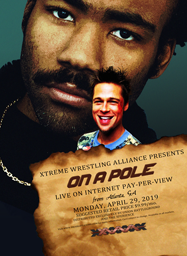 Live from the XWA BattleZone in Chicago, it's the BI-WEEKLY flagship show...Massacre! Click here to see all cards for this show as they go up. The following is the schedule for 2018 of all episodes of Massacre during the year. It contains important dates, venues and other bits. Please bare in mind this is all subject to change dependent on circumstance.